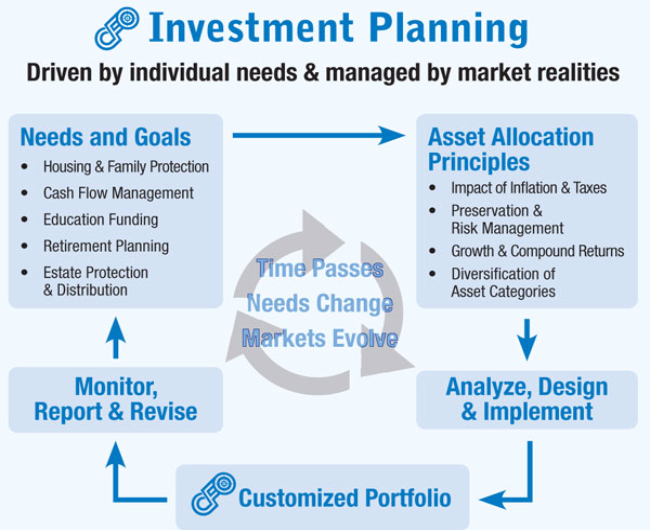 Professional management of personal and retirement plan assets has become the choice of most busy, successful professionals, corporate executives and business owners. Today, complex legal regulations and ever-growing demands on your personal time combined with the increased volatility of the financial markets have made the choice of professional investment management not only desirable but a necessity. Through our portfolio management arm, Cruice Investment Advisors, Cruice Financial Organization offers professional management of investment portfolios for individuals, corporations, qualified retirement plans and trusts. We manage investment portfolios within the context of a total financial plan. We are interested in helping our clients be where they want to be in three to five years and then three to five years after that. We aim for real growth - measured in relative terms against inflation - through the consistent compounding of positive returns over time rather than the expectation of overnight results. Our approach stresses the importance of sound asset allocation strategies that protect current investment capital while building wealth for higher levels of long-term prosperity. In general, we are conservative portfolio manager and will not expose any investment portfolio to anything less than careful risk-return analysis. We are strong believers in diversification amongst several U.S. and foreign asset categories including Cash Equivalents, Fixed Income, Common Stocks, Real Estate, and other special situation investments. The asset mix for any portfolio is based on a careful assessment of the specific investment objectives of the individual or corporate plan. For any asset category, we view ourselves as talent scouts not individual stock or bond pickers. Through our substantial research, we continually strive to find the best investments and managers within any of the selected asset categories.